With more than 20 albums in the past 15 years, not to mention all the collaborations, Joe Bonamassa’s career is risking overkill. But judging by this two-CD live set from New York’s Carnegie Hall last year, it’s not at that stage just yet. 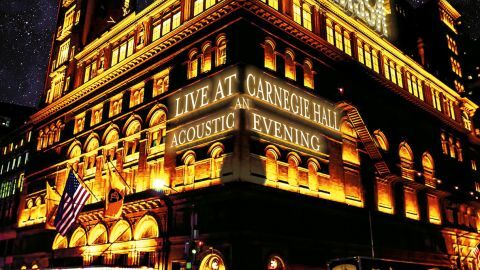 The Carnegie Hall may be prestigious, but its acoustics are cold and austere, which made recording this gig something of a challenge. By focusing on the clarity of sound from his nine-piece acoustic band, Bonamassa overcomes the problem, although there are times when you wish for more warmth and passion. That certainly doesn’t apply to Chinese cellist Tina Guo, who adds a new dynamic to Blue And Evil and Woke Up Dreaming. Or to Egyptian percussionist Hossam Ramzy, who some may remember from Plant And Page’s Unledded tour. Regular band pianist Reese Wynans also seizes the moment with some fine solos and shows his spontaneity on Driving Towards The Daylight. Bonamassa’s voice survives close scrutiny too. The set sags a little in the middle, but that’s only in comparison to the full-on focus at the start and the exhilaration towards the end.